Activision revealed details about this year’s installment of the Call of Duty franchise during its quarterly earnings call Tuesday, including that it will feature “an entirely new campaign.” This is a departure from Black Ops 4, which featured no campaign, instead focusing on its multiplayer components. 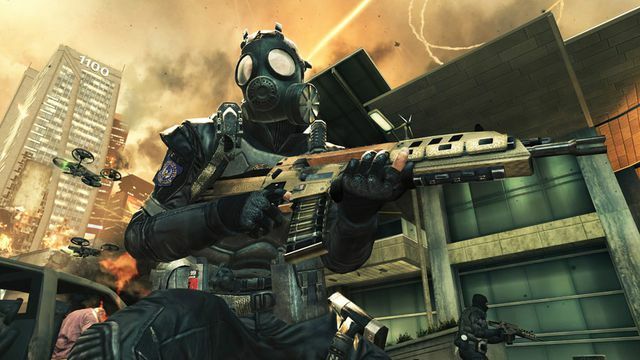 Speaking during the Q&A portion of the call, Rob Kostich, the newly-named President of Activision, discussed 2019’s Call of Duty game, saying that it will include “an entirely new campaign, a huge and expansive multiplayer world and some fun co-op gameplay.” This is the first time Activision has publicly confirmed the return of a campaign to Call of Duty since 2017’s Call of Duty WW2. Dennis Durkin, Activision’s CFO, did say, however that the company doesn’t anticipate sales of the 2019 Call of Duty being as strong as 2018’s Black Ops 4. “Call of Duty units are down year-over-year in our outlook,” Durkin stated when discussing 2019 projections. During the same call, Activision Blizzard announced it was cutting 8 percent of its staff across the company and its studios, and that shifted focus would allow it to focus on “owned franchises” such as Call of Duty.